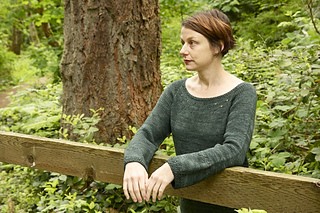 A relaxed long-sleeved pullover in worsted weight yarn, perfect for a misty morning tide pools or quiet walks in the forest. 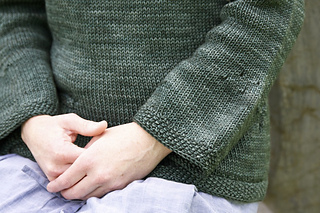 Inspired by the thick woods and windy bluffs of Vancouver Island’s coastline, Courtenay is a flattering and comfortable sweater, with carefully placed and understated details. Simple eyelets at the neck, pockets and cuffs add texture, while short row shaping at the back neck and lower edge make a lovely fit. You’ll enjoy the top-down seamless construction, hybrid circular/raglan yoke, and knit-in pockets. 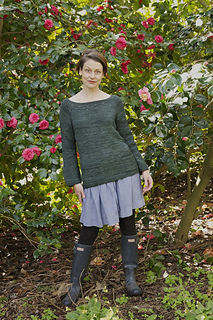 Rugged but feminine, Courtenay is a quick and versatile knit.